Facing one of the NFL's worst defenses, can Bears bounce back? It's all part of your Bears football fantasy. Week 7's 45-10 Bengals blowout wasn't just bad for the Bears as a team. A mere one touchdown and a bevy of interceptions by Jay Cutler made sure the Bears didn't produce for anyone's fantasy team, either. 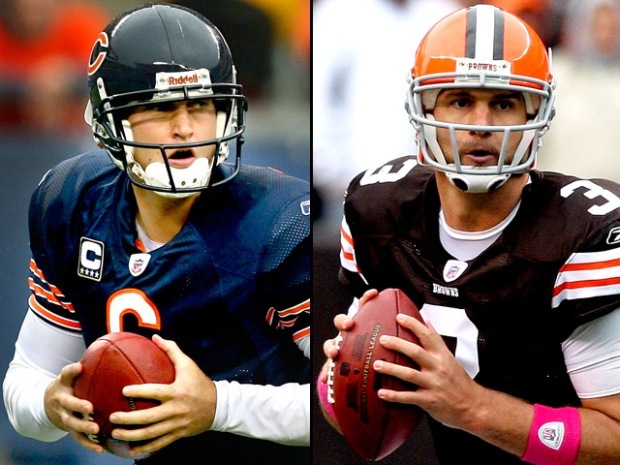 Can Cutler, Matt Forte, and the rest of the Bears fantasy notables improve on Sunday? If not this week -- when the Bears host the abysmal Browns at Soldier Field -- then it might never happen. This matchup is fantasy gold. In the meantime, a rundown of fantasy value. 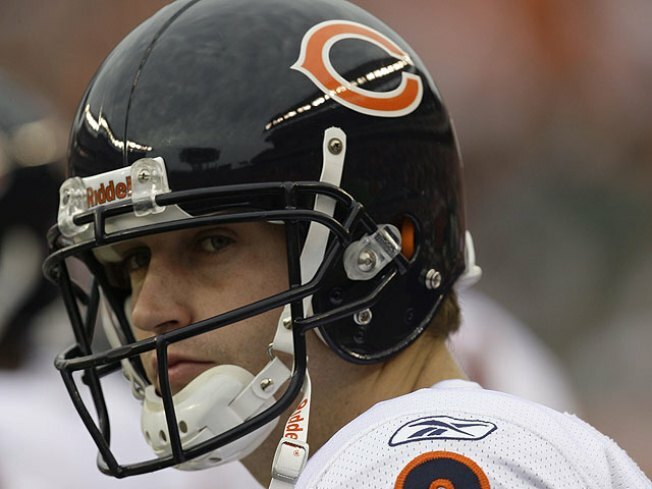 Jay Cutler/Rising: Cutler's value hit an all time low against the Bengals. But these are the Browns. Cleveland's defense has allowed 414 yards per game in 2009, good for dead last in all of the NFL. They've allowed the ninth-most passing yards, too. This is a match up to exploit, and Cutler shouldn't disappoint. Matt Forte/Stagnate: Forte's value gets a boost thanks to the Browns defense -- which allow 170 yards per game on the ground. Can the Bears O-line take advantage? Subbing Forte isn't completely out of the question but performance isn't guaranteed. Greg Olsen/Falling: A week after catching a touchdown and appearing to grow into a role as the Bears' go-to possession receiver, Olsen caught only four balls vs Cincy. Olsen should get a boost from the Browns D, but halfway through the season, he's still not an elite tight end. Owners who drafted him early have every reason to be disappointed. Johnny Knox, Devin Hester, Earl Bennett/Rising: Hester received the lion's share of targets last week, getting nine looks from Cutler, while Knox and Bennett saw only six each. Still, this is pretty evenly dispersed, which is bad for Knox owners -- he's not a go-to receiver -- and good for those hoping Bennett and Hester can sneak into a No. 2 wideout role. The Bears should be able to dictate the gameplan against the Browns, so keep an eye on who Cutler stares down most often, as it could provide clues for the rest of the season. In the meantime, Knox remains the best big-play threat.